A potentially hazardous food, such as chicken pies or pesto, must be produced in a kitchen or facility separate from the home and requires a Commercial Food Processor License. While constructing such a facility might not be economically feasible for you now, several shared-use kitchens are being developed in Maine, including in Belfast, Bucksport, Saco, Farmington, Eastport and Unity. Bushway offers testing that evaluates certain criteria in your product: pH for pickled foods and salsa, water activity for baked and canned foods, titratable acidity for vinegars, brix for jams, jellies and syrups, and water phase salt for smoked seafood. These are all to determine if your food product falls under proper guidelines for food safety or Standards of Identity for the FDA. If the food does not meet these guidelines, Bushway can suggest improvements. He is located at 5735 Hitchner Hall in Orono, 207-581-1629, or [email protected]. 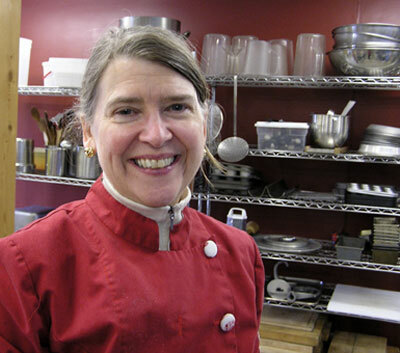 Dr. Beth Calder, the University of Maine Cooperative Extension Food Science Specialist, may be contacted at [email protected], 207-581-2791. She has developed fact sheets and “frequently asked questions” sheets to help in this process. If you are producing an acidified food, a food in which you add an acid such as vinegar or lemon juice, the food must be tested to ensure that the equilibrium pH is below 4.6 in order to reduce the potential for Clostridium botulinum growth and botulism toxin production. Low acid foods – foods with a pH above 4.6, such as canned green beans – must be processed in a commercial facility. The specialty food business is a rapidly expanding market, and producing value-added products is an exciting venture. Jonathan King and Jim Stott began marketing their specialty foods at farmers’ markets in 1991 and built a very successful business, Stonewall Kitchen, with products that are marketed worldwide now. Even if you don’t wish to produce foods at this scale, the basics of manufacturing food products under sanitary conditions while protecting the health and wellbeing of your potential customer remain the same. The Maine Organic Farmers and Gardeners Association offers workshops throughout the year on Licensing the Home Food Processor Kitchen, and I encourage you to contact me if you are interested in attending one of our workshops.